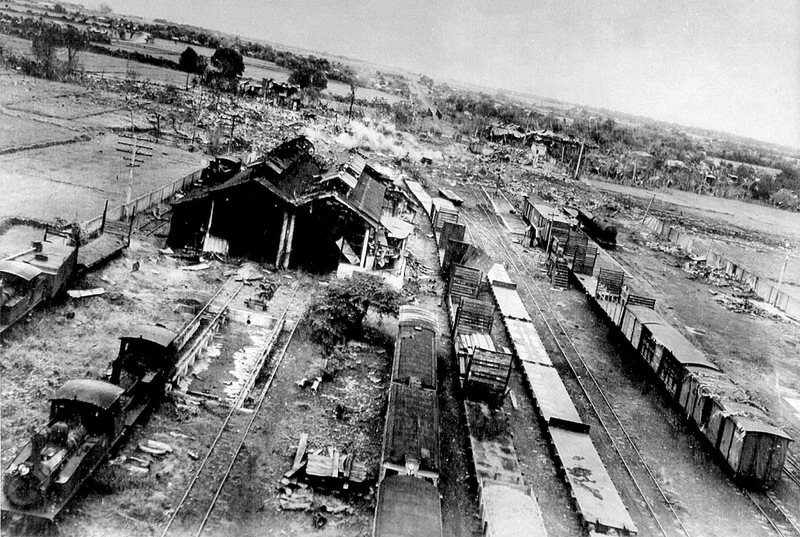 The Lipa railroad junction during a low-level bombing attack in 1945. Image source: John Tewell, United States National Archives. Below is a copy of the original black and white downloaded from Tewell's Flickr account. The top photo was colorized courtesy of Algorithmia. Black and white version of the picture above.